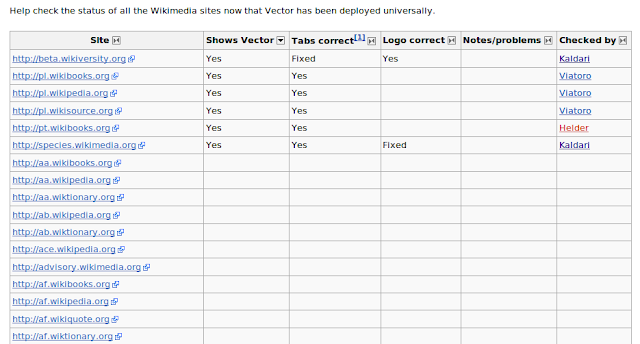 When I asked for help checking if the Vector roll out was done properly, I got the question: "what should the Wikipedia logo look like". The logo on the right is the new one and the one on the left is the old one. The good news is that several projects have been checked and the help is well received. With a list of 787 items, you will appreciate that more help will be needed..
A picture of Karl-Theodor Freiherr von und zu Guttenberg, the German minister of defence is according to some not "educational nor noteworthy". As a consequence the picture that was proposed on Commons as a featured picture will not feature. On the proposal it was suggested that this reason is wrong and "Let's be politically correct, and support only ethnic portraits, as usual." Now Mr von und zu Guttenberg is a fine and good looking specimen of the ethnic group he belongs to. He is not American though..
With such a motivation a whole genre of pictures can not feature; they are the portrait pictures. Portrait photography is considered like macro photography an art in its own right. If it was not so sad, many of the motivations for or against a featured picture candidate are hilarious. When you promote a service and the application it runs on, it makes sense to use it as well. The procedure to create my own "my Europeana" profile is easy. 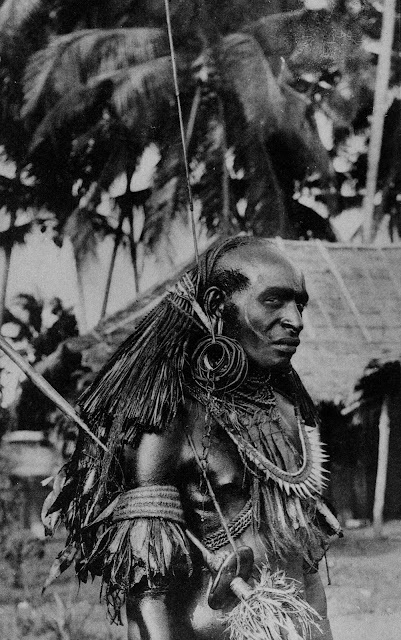 At the moment I am interested in everything Batak and Europeana does not disappoint. There is music, scripts, film, photos... all from different European GLAM's and all pointing back to these GLAM's where rich annotations are available. When you search a subject like "Batak" on Google, you will find literally everything that can be found on the Internet. With Europeana there is no duplication, you find all relevant material that is digitised and available from European GLAM's. 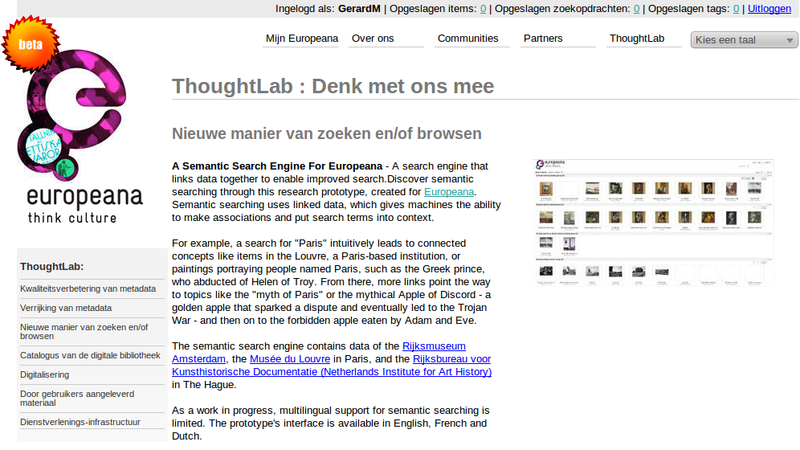 What does disappoint is that many of the texts in Europeana are not translated. It makes for instance sense to promote Waisda in Dutch as it is a Dutch language project only. In a way it makes sense, you have to have a platform and a community that allows for crowd sourced translations and as the number of languages in Europeana is high, it must be hard to maintain a semblance of classic quality assurance. 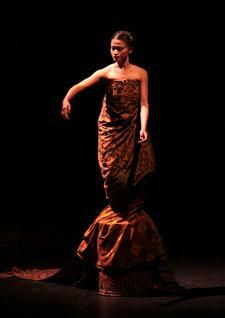 In this performance six talented traditional Javanese dancers experiment with a new body language from the rich Javanese tradition en morph this into modern dance. On music by Ligeti, Rahayu Supanggah and Dedek Wahyudi they present most beautiful solos and duets from their repertoire. It is about top dancers like Agus Margiyanto, Cahwati, Martinus Miroto, Retno Sulistyorini and Heru Purwanto (replaces Rury Avianty). All have performed here before but in a completely different setting. 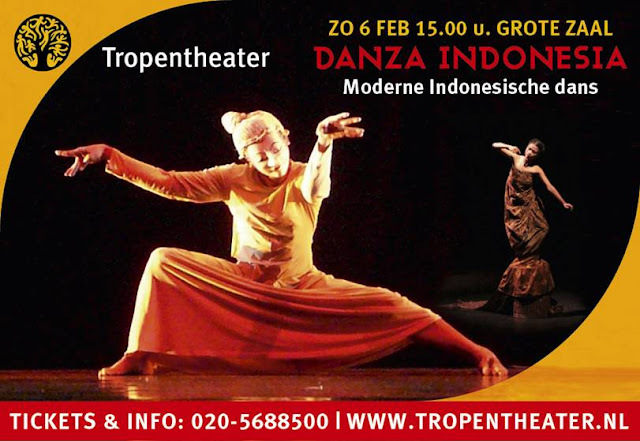 Danza Indonesia offers an amazing control and surprising choreographies where traditional moves and modern dance idiom fuse into an exciting amalgam. Mirogo will function as the dramaturge and ensure that the cohesion of the individual parts. Iskader Loedin will provide appropriate lighting. This shows that Indonesian dance is not only for tourists. Its idiom finds its way in the world of modern dance and the classic Indonesian dance styles are alive and well. #Blogger has its own blog. Obviously and their latest story was "More Fonts Means More Choice". 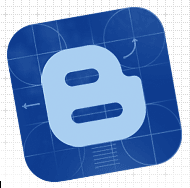 Through the advanced settings of the Blogger Template Designer, you can select the type of text you want to change. I changed the title as per the example and fiddled around with it. My readers do not need to have the font on their system because it is a web font. When they use the translation feature and the language uses the standard characters of the Latin script, they will get translated headings still in the "Reenie Beanie" font. Most fonts are for the Latin script, but there are seven fonts for Cyrillic, four for Greek and one for Khmer as well. These fonts are of particular interest as they demonstrate that there are fonts for the "other scripts". Fonts that do not have to be loaded on the local system. I wonder what it takes to get fonts added for other scripts, scripts like Myanmar or Thai. One of the Wikipedia birthday gifts is a page with reportcards for the Indic languages. Inspired by the wonderful work by Shiju Alex, Erik Zachte prepared "at a glance" information. This is really helpful when you try to understand the vitality of particular projects. Both for the Malayalam and the Myanmar Wikipedia there are issues with entering text properly in the Wiki. This has been largely solved locally at the Malayalam Wikipedia with an option that allows you to pick one of three choices. Once issues with writing articles are resolved locally, it becomes clear that a similar solution is needed for Commons and wikis external to the WMF. Support for input methods has to be available together with the localisation. At the Amsterdam hackathon, we discussed this and there is active support not only for supporting input methods in core but also for providing Indian developers with access to the MediaWiki code repository. Providing support for input methods for the Myanmar language is critical when the Myanmar Wikipedia is to prosper and grow. When it is to be read, serving its content in both the mutually exclusive fonts from the same source would be a momentous improvement. There is an understanding how we can move forward. The people who know how are invited to become MediaWiki hackers and they are invited to work together for an optimal result. Any volunteers for uploading GLAM collections to #Commons? When the question was raised: "Who is willing to help with the uploading of GLAM collections? ", two fine ladies stepped up to the plate; Aude and Beria. 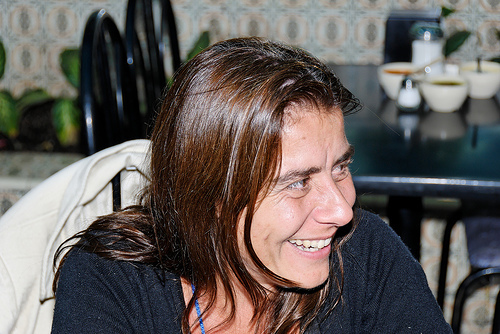 Aude is a wonderful person who has been actively involved doing many, mostly technical things. She is now also active with GLAMs in the Washington area where she lives. 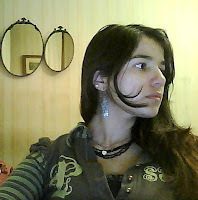 Beria, another wonderful person, is Brazilian living in Portugal and she is becoming increasingly visible in the meta world. She even became a candidate in the stewards elections. Sue indicated her wish for more women in our projects and I agree that that would be awesome. One way of making our projects more interesting may be by celebrating the wonderful women among us and by highlighting their good work. All this to make more women feel welcome. 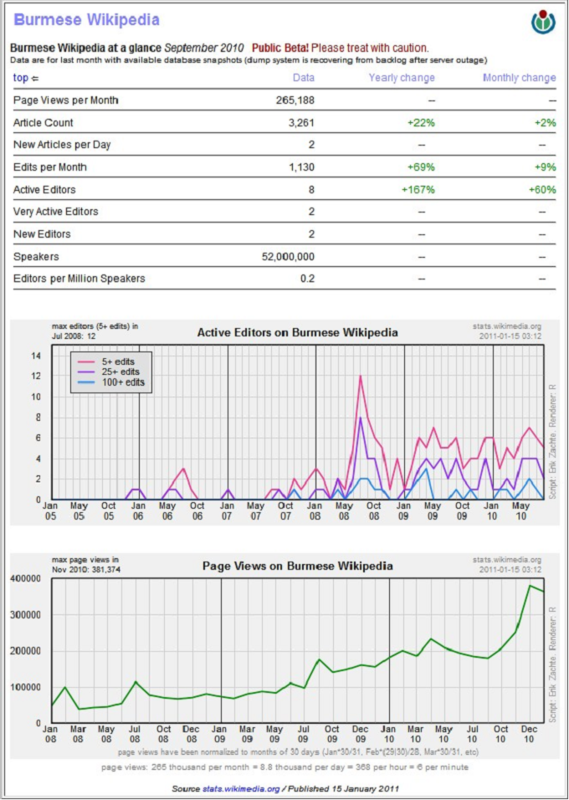 The off line reader for #Wikipedia will be based on openZIM. Now openZIM is one of several formats that are actively maintained for use in off line readers. One of them has been specifically developed for use with Indic languages and others like Okawix and WikiReader are internationalised and are localised in many languages. A choice has been made for a tool that has no obvious qualifications to support the over 270 languages supported by Wikipedia. The good news is that at translatewiki.net we are quite happy to support competing applications. As we reuse existing localisations for new applications, openZIM may even benefit from the work that has been done on off line readers. 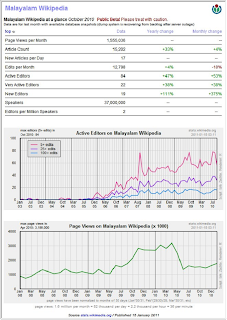 So Wikimedia Foundation, it is not obvious why you support openZIM. OpenZIM is not supported here but that can be remedied when you care for supporting all the languages of Wikipedia. At the celebratory #Wikipedia hackathon in Amsterdam we discussed using Facebook for the authenticating of people in a process that was not exclusively Wikimedia. To some this seems like an attractive idea because "everyone" is on Facebook. In the past few days, new information became available that makes Facebook increasingly unpalatable. featuring you in targeted advertisements to your "Facebook friends"
True to form there has been a backlash against these modifications. It is however a matter of two steps forwards and a step back for now. 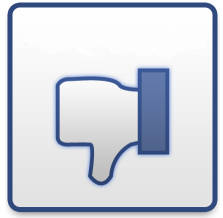 It will hardly feature on Facebook's radar when I express my contempt on my blog. My hope is that while it may be convenient to use Facebook authentication, the unethical antics of Facebook demonstrate it to be spoiled goods. Something to stay away off. In the final analysis Facebook is about making money for its investors. It does it by selling out the people who use Facebook to its customers. #Europe's cultures have had a worldwide influence. An influence that can be observed worldwide in modern cultural expressions. European merchants brought curios from all over the world and consequently museums and archives have become a rich resource of mementos of all the worldwide cultures. economy". A renaissance is a rebirth and, the European Union recognises the fact that the Internet is where many of the new cultural manifestations take place. The classic cultures had their renaissance after hundreds of years after their demise. A report commissioned by the European Commission called "The New Renaissance" discusses how our cultural heritage can be given a new lease of life, how it can become part of a worldwide renaissance of Culture. The original renaissance happened after many of the classical artefacts were damaged or destroyed. This European report recognises that something similar may happen. It may happen when our archives, our museum collections are not digitised but also when copyright orphans are excluded because of the FUD that surrounds them. 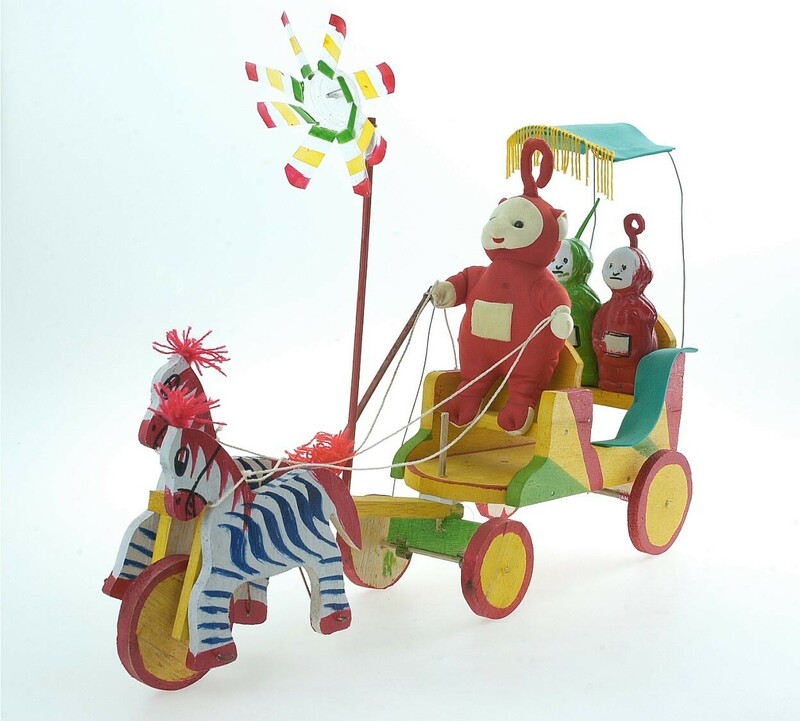 Europeana plays an important role in the European strategy. It is therefore stellar to read that the European cultural heritage is to be accessible to the greatest number of people without distinction or barrier. Language is such a barrier and it is therefore really relevant that the initial localisation of Europeana at translatewiki.net now includes simplified Chinese. You will also find European languages like Macedonian, Serbian, Breton and Luxembourgian that will be new to Europeana. When you are interested in the European vision on the riches its museums and archives contain, you will find this document a "must read". 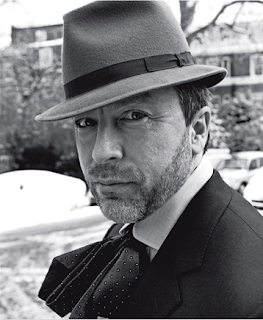 #Wikipedia's Jimmy Wales has received a prize that is reserved to the most beautiful people, the most iconic people. He features in Vogue. At America's Next Top Model, featuring in Vogue is something to die for. For some it is like seeing Napoli.. I had a look at his pictures and I recognise Jimmy.. Recognise him in a same way as I did in some of the photo shopped images. I find he looks as unreal. The text of the article is interesting; it is a good read and it shows his point of view. His opinion about WikiLeaks for instance is not one I can share. The Dutch #Wikipedia article about the #Tropenmuseum can do with some sprucing up. 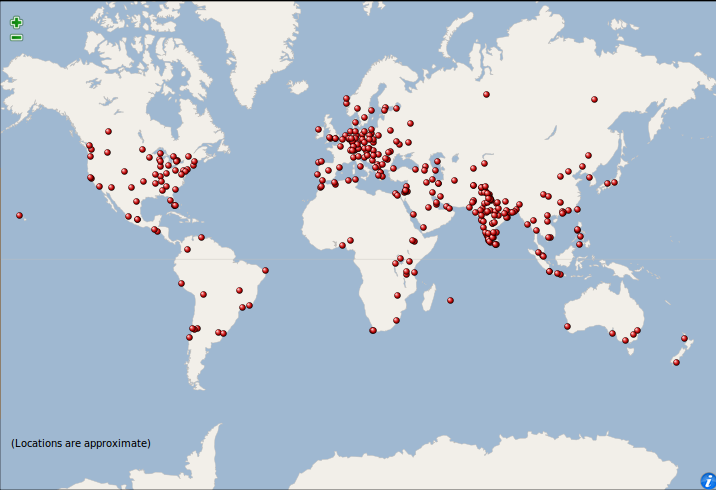 Susanne asked me to have a look and I already updated the address, the number of visitors of 2010 in the many Wikipedias that have an article. What I also want to do is add information about the permanent exhibitions. These make a visit to the Tropenmuseum worthwhile never mind the many extraordinary temporary exhibitions. The issue I am faced with is that as I was so bold to ask for some illustrations to go with the permanent exhibitions, I was given a DVD with superb illustrations and the Tropenmuseum visitors guide (ISBN 978 90 6832 613 0). That gives me many issues I want to deal with. there is no meta data with the images I received .. but the book ..
My plan of action is to do one thing at a time: first start with a short description of the permanent exhibitions and then do what I can and look for help from whoever can give it..
On every #Wikipedia page, Jimmy was appealing to you to help with its mission. During the 2010 fundraiser, it was vitally important that its message was loud and clear in any language. That, his piercing eyes and maybe a bit of gratitude for what Wikipedia delivers made for a big success. Now that the fundraiser is over, the words of thanks have been said, there is a more modest appeal from the sidebar. An appeal with the same message. In MediaWiki and at translatewiki.net, the development and the localisation of the software goes on. This means that during the year more languages will become ready to handle this appeal. During the year more chapters will get ratified and get ready to raise funds not only for the Foundation but also for themselves. Our fund raising effort is concentrated only on the annual fund raiser. However the sums of money we receive during the year are quite significant. The localisation of the "Donate Interface" and the "Payflow Pro Gateway" extension does continue and we should update the fund raising message for the rest of the year as well. I blogged about the conference in Vlora #Albania. The #Wikipedia in Albanian is doing its best to grow and the conference was packed with helpful presentations. As a sign of appreciation the speakers received a beautiful polo shirt with the embroidered logo of the “Ismail Qemali” University of Vlora. Both Siebrand and myself do not even fit a size large and from an Albanian perspective we must have been larger then life. I was quite astonished to find two polo shirts in my mail box specially made for us. They even had our names under the logo! At Wikipedia's 10th anniversary we met again and Siebrand happily posed for a picture. So it is time for another word of thanks to Besjana. With people like her I am sure that Wikipedia will do splendidly in Albania in the coming years. When you have a party and when as the tweet says "Dear vandals, all Wikipedians are drinking beer so this is your chance to have fun!" It is really nice to learn that they did not only have fun while we were drinking beer. The anonymous editors did not only edit during the party. There were 30% more edits that day and the next day topped an already great turnout. Yes, there was more vandalism then usual, but was it also 30% more? It is gratifying when more people, new people find the courage to press the edit button and make a positive difference. New people will make Wikipedia their own and this will be part of the bright future Wikipedia has in front of it. When the Dutch Wikimedia vereniging applied for non-profit status, it had a good look at the juridical obstacles for transferring money to the Wikimedia Foundation. It boiled down to the fact that taxes have to be paid unless the money is going to a recognised charitable organisation. This was discussed with the tax-office and they preferred to do the paperwork for both the vereniging and the foundation at the same time. 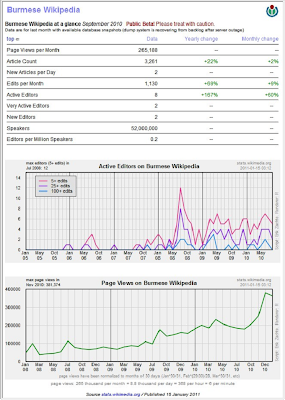 At the anniversary of Wikipedia, there was an extra general meeting to change the statute of the Dutch chapter that would modify the statutes as required from us by the tax-office. It was a great meeting, short to the point, informative and friendly. We had a visitor of the canine persuasion, Noor, who brought her boss who is visually impaired. At the last meeting one of our members brought a sign language interpreter for him to follow the conversation... Truly everybody is welcome to be a member of our vereniging and visit our meetings. At the decennial Wikipedia party in Amsterdam, a mother brought her two sons and a friend. They did the kids things and they were good at it. So in order to heighten their enthusiasm for the proceedings, we told them about the box with t-shirts. At that time only the small sizes were left. As Sue has been saying, we want more women involved in Wikipedia. They may bring their kids when we party, when we get together. It makes us more whole as a community. That and is gives our community a future. Celebrations were held in many parts of the world. Some places had presentations, hackathons, drink, cake and it was all registered with cameras, video but ... in Amsterdam we had something special. So find that old 3D goggle and have a look at the public of the official part of the party. Quistnix experiments with 3D photography and this IS the kind of thing that you can expect on a Wikipedia happening.. So what was out of the ordinary at your party ?? Many people operate bots to do all kinds of funky mass edits in languages that they have no hope of understanding. It works out really well because many things are just routine and all it takes is for someone to operate a bot. So far, the edit summaries were added by programming a text in the software and with over 270 Wikipedias this is not really practical. 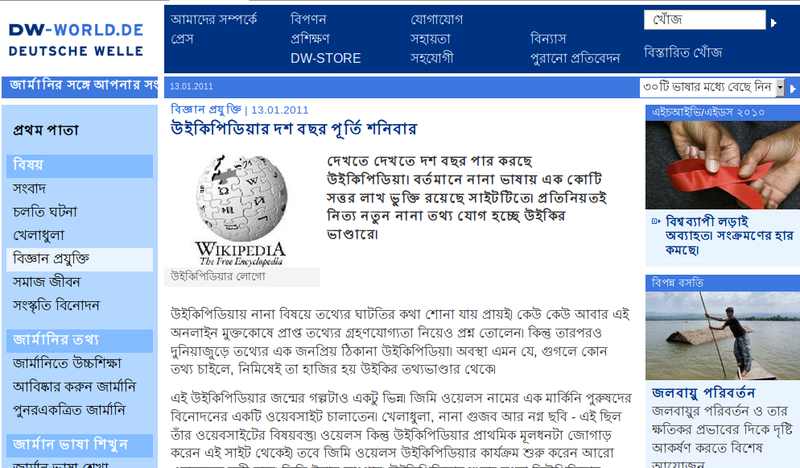 It has therefore for a long time been a wish to get all such texts to translatewiki.net. The Amsterdam hackaton brought the right skills mix together. Mikael Nordin made the illustrations from Sweden and there was someone doing the pywikipedia bits, someone doing the translatewiki bits and now someone is promoting the notion that you can be the someone to localise pywikipedia wherever you are. The texts that you localise for pywikipedia are texts that will be in your face in the recent changes. They will be in your face on whatever MediaWiki wiki that uses the power of many years of bot development. Hackathons are wonderful; when people get together and work for a few days together they get so much done. The Amsterdam hackaton was dedicated to GLAM related stuff and good things got done. Brilliant is the realisation that we have so much talent in the Netherlands. We do not need to bring people from abroad to have a really effective event. #Wikipedia had its party in the Amsterdam Museum. It was a full program with a #Hackaton, a chapter meeting and a party. The highlight of the party was the gift of a memory stick with a collection of 50.000 digitised images. Many of them are available in a high resolution. In answer to my question "If you were to choose one picture out of your collection, a high resolution picture that I can propose for featured picture status what picture would it be?" This painting of the oldest map of Amsterdam was commissioned by the city council and hung for a long time in the city hall. The north where now the Central Station is situated is at the bottom. It is clearly visible that Amsterdam was a walled city situated in an area with many waterways and at the mouth of the river Amstel. Churches, monasteries and city gates were the most remarkable buildings. 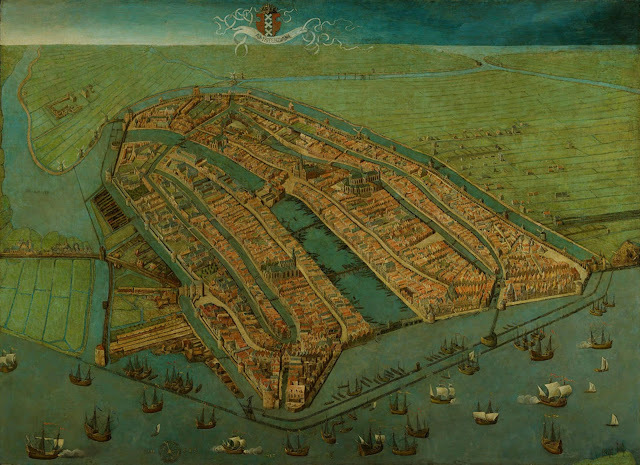 The number of inhabitants in 1538 is estimated at 12,000. As the picture that I received is less then the minimal size requirements, it is not wise to propose this picture at this time. It would have been really sweet to have proposed this on the 15th. With a room full of hackers, #GLAM, #Wikipedia and #MediaWiki hackers a lot gets done. The best bit is probably the interaction, the demonstrations, the explanations of techniques. It is best because this enables people to do better. today the Serbian localisation has been done completely !! At the Amsterdam #hackaton they are building functionality that will upload a film fragment to MediaWiki from an Open Images repository. When this software is translated in Spanish, we can upload this great Argentinian resource to Commons. It is wonderful when a plan comes together. On the eve of celebrating 10 years of Wikipedia, we prepare for the next decenium hacking on the technology that will make the cooperation with GLAMs that much easier and sophisticated. The group of people we have brought together consists of some of the MediaWiki greats but there are also people from cultural heritage organisations. Face time is gold. 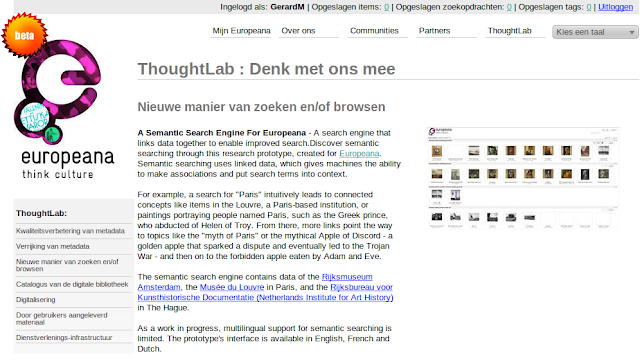 We flew RobertHL in from Great Britain to work on one project; enabling support for Europeana. Europeana is the European portal to what is already digitally available of what European museums, archives and libraries. What is truly awesome is that by translating at translatewiki.net you enable other parts of the world to access what is a world class project. This is only one of the things that are going on..
Our celebration is news in many periodicals and websites in many languages. I love this news item on the German Deutsche Welle in the Bengali language. I cannot make head or tail out of it. The logo depicted in the article is the logo of the English Wikipedia. Obvious really because it started this whole Wikipedia ten years ago. Recently the input methods for Bengali have been much improved; there are three input methods available; Avro InScript and NKB. This makes it easier for people to edit in Bengali. 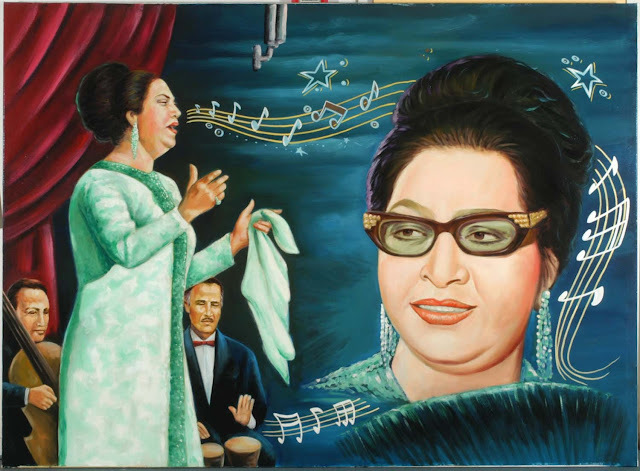 This improvement is currently only available on the Bengali projects and consequently it is not a MediaWiki improvement. Commons would benefit from the same improvements and so would any other project where people edit in Bengali. I hope that such usability improvements will find their way in the core MediaWiki product because it is essential for the usability of the Bengali localisation. This is a rendition of a popular song. However this rendition in sign language is awesome. You do not have to be deaf or know sign language to enjoy it. In three days time festivities to celebrate the first activity on the first Wikipedia ten years ago will be held all over the world. When you do not live in Antarctica, Alaska or Greenland there is possibly a venue near you. When there is nothing near you, it may be that the area where you live is not very much on the Wikipedia map either. Given that Wikipedia is a child of the Internet, you can celebrate with us by putting where you live on the map. You can do this by writing in your Wikipedia or making pictures available on Commons. I hope you will join us in celebrating our ongoing endeavour to share knowledge with everyone. One of the presenters at the #GLAMwiki conferences in London and Paris was Beatriz. She brought us the wonderful news that Wikimedia Argentia had been given many, many DVD's with original news footage from the public Argentinian broadcaster. Many of these news items have found there way to the Spanish Wikipedia and this generated so much interest that other Argentinian networks are considering following this great initiative. Such a treasure trove is both a responsibility and a commitment and in the Free Content world it is best to share the load. Sharing is hard when all the data is stored on physical objects. This was discussed by attendees of both conferences and the results are encouraging. OpenBeelden is an open media platform giving easy access to audiovisual collections and facilitates easy reuse. 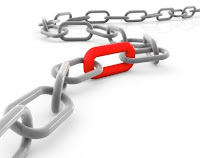 It is an implementation of the MMBase content management system and both are freely licensed. OpenBeelden is used to make many Dutch news items available. The 109 messages of the OpenBeelden software are now available for localisation at translatewiki.net. When this works out well, even the localisation of MMBase may become a translatewiki project. Once the OpenBeelden is translated in Spanish, there is a platform to manage all the news items from the DVDs. This will surely allow Beatriz to share the wonderful resource she is the custodian of.